Doesn’t everyone love an good craft show??? I know I do! This is the season to share your crafts and start up those holiday sales. This time of year rocks for handmade businesses, and it’s time to really stock up and be ready for the shoppers. 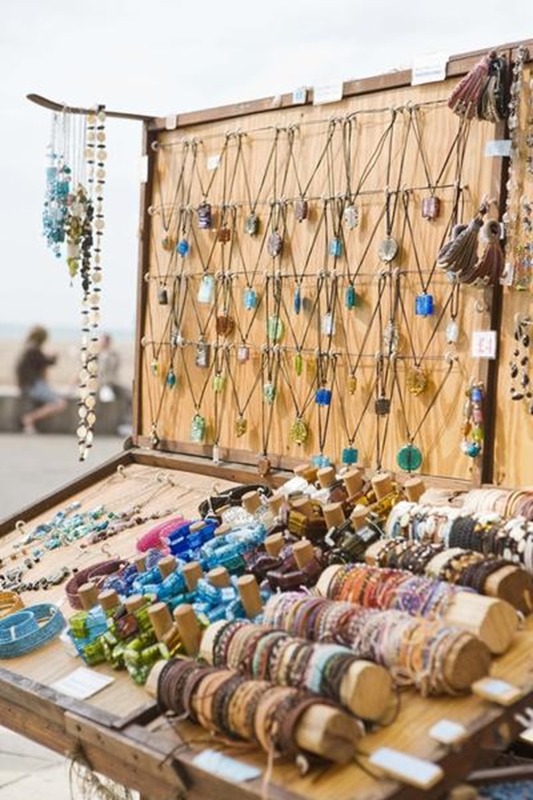 One way to meet new customers is by selling at local craft shows. A little preparation can help you enjoy a beautiful day at a craft show while growing your business. Who needs stress?? Plan ahead for success! 1. Stock Up! 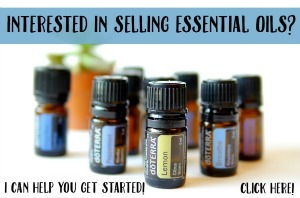 Create lots of inventory with a little something for everyone. People are there to shop, so give them lots to look at! Please don’t show up with a small amount or one of each item and plan to take custom orders. The craft show vendors with lots of inventory get the customers. 2. Awesome Tags! Make an impact with well designed tags for all your items including the price and your contact information. Many items are purchased for gifts and you’ll want everyone to know how to order more. 3. Make sure you have a wide price range of items available. If you make custom bags someone might buy a wallet to try today and decide to contact you in a month for a custom bag order. Offering items from key chains to a travel duffel bag will help bring in those sales. 4. Business cards are a must! Shoppers might not be able to purchase from you right now, but you need to make it easy for them to order later. They could share your card with a friend that runs a little boutique…you never know how far that little card could go! 5. If you enjoy custom orders make sure you have photos of past custom orders, color selections and more for them to choose from during the show.Make it easy for them to place their order. 6. Give them something! A little sample or coupon can work wonders breaking the ice with shoppers. I know you work hard for your money and sometimes it’s hard to part with samples without a guaranteed return…but try it! 7. 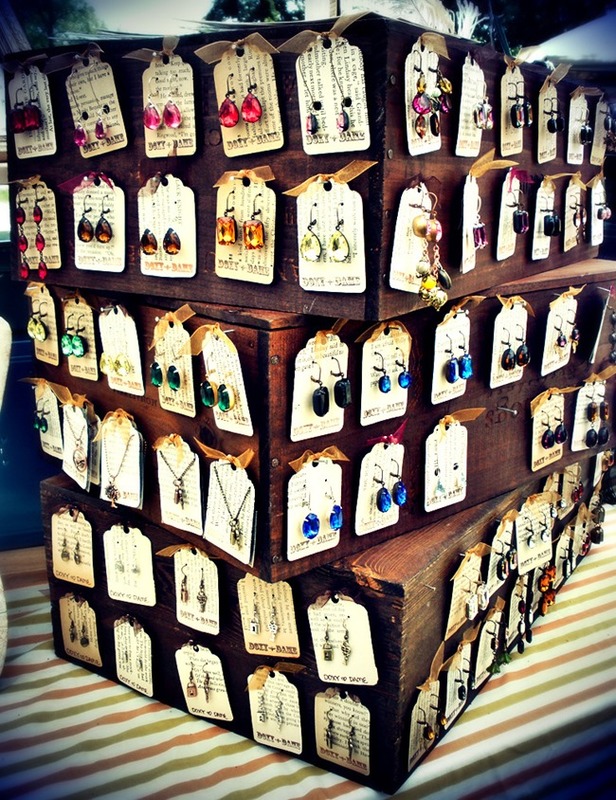 Design your booth ahead of time to make sure it will display all your items and it’s not too heavy or hard to set up. Don’t forget a nice sign or banner with your logo. Just setting up a card table won’t attract buyers. 8. 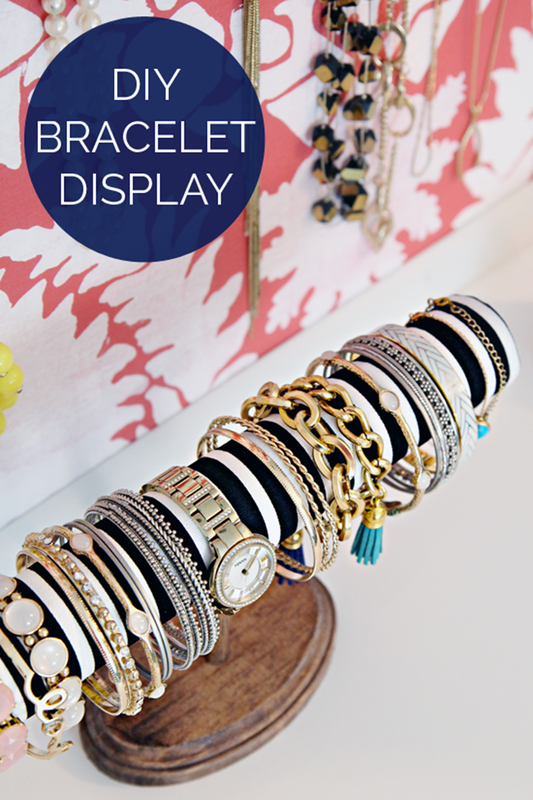 Add a splash of color and vary your height in your display. This will get their attention and make it easy for them see all your items. Pretty displays will make them stop and take notice…trust me! 9. Have a sign up sheet for your mailing list. A list of potential customers during the holidays could be priceless! 10. Don’t sit way in the back. Get out there and introduce yourself. They want to know you! Share your ideas behind your work or hidden features that make your handmade items awesome! 11. Wrap up purchases in pretty paper or bags with business cards. Buying handmade is better…make them feel special. 12. Have fun with it and smile! You get to talk about your beautiful handmade items all day and meet loads of nice people! Oh, and one extra one…stock up on some snacks and water to get you through the day! 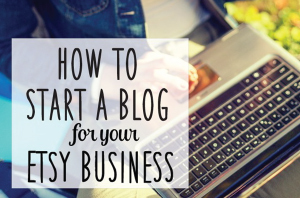 There’s always more to learn, but these tips should help you get started. 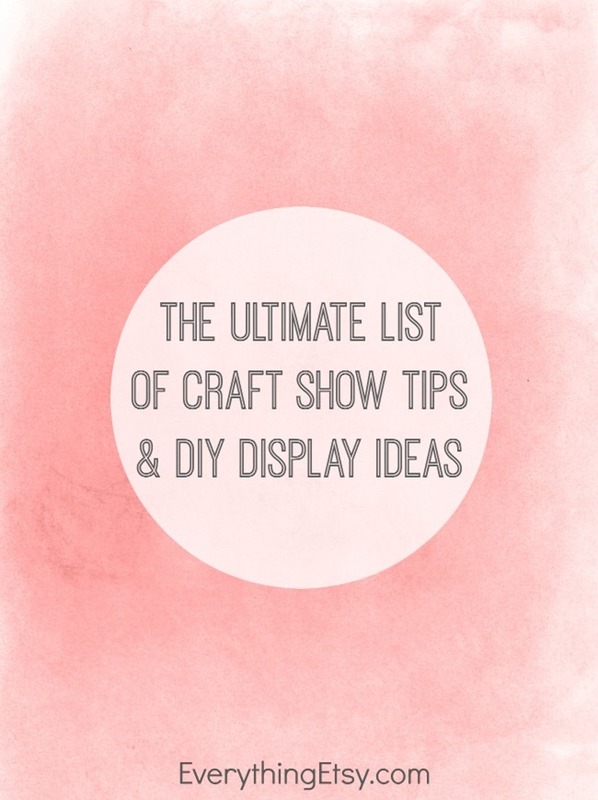 Please share your craft show tips in the comments…I know you have some! 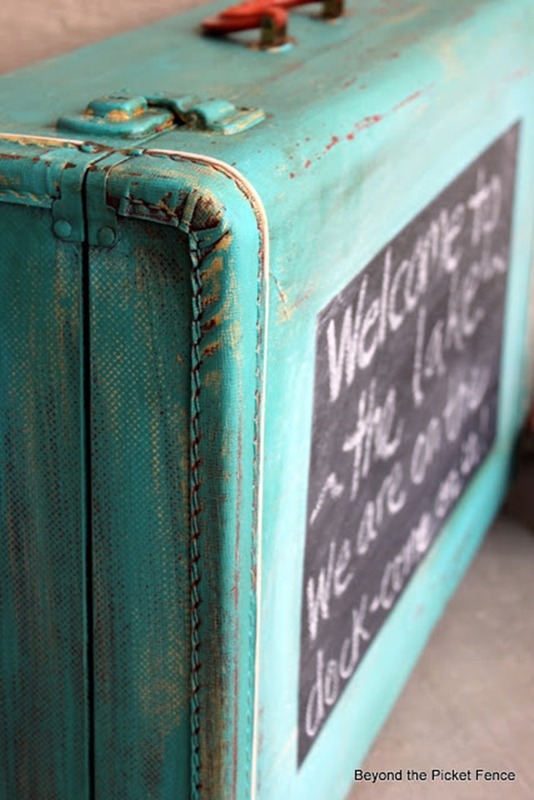 The craft show display ideas in this post are just a taste of what’s in these few posts. I have tons of creative DIY display inspiration that I’ve collected over the years, and you can see them all by clicking below…have fun! These are fantastic ideas for a newbie! (ME!!!) Thanks for sharing! 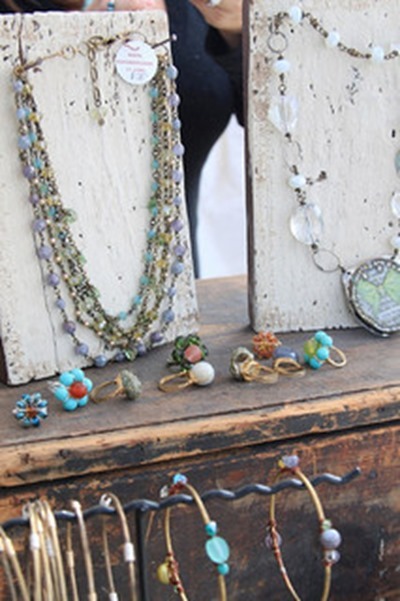 These are great tips for the holiday craft fair season. I make sure I network with other vendors too. You can find out about other great opportunities in the area and get some great advice, especially if you’re new to the craft show circuit. That’s a great idea! They could share what shows have worked best for them and save you a ton of time and money! Thanks for sharing your awesome tip! Be sure to bring basic supplies such as scissors, tape, safety pins, paper clips etc. And make sure you have weights of some sort for each corner of your canopy if the show it outdoors. One gust of wind could ruin your day. Not only the basics as Trudy Hibler mentions but also a hammer, screw driver, zip ties etc for those emergencies. I’ve had screws fall out of my tables, a rack drop and I had to fix it. Flyer with your events and description of what you make and contact information. Laurie, that’s such a great idea! When I was doing shows regularly, I had a popup display made from that lightweight plastic that’s used in yard signs. My boyfriend also built me a nice three tier shelf out of PVC pipe and lightweight wood. The more lightweight and portable, the better when it comes to display materials! I’m going to design something to display my necklaces now so they can hang, and I think I’m going to use that corrugated plastic. I’m hoping to find it somewhere in black. I’ve only seen the white…thanks, Mallory! Get a roll of clear plastic from the hardware store and cut it into lengths that will cover and protect each of your tables or displays. That will ensure that a freak rainstorm or an overnight dew that seeps through the seams of your canopy won’t ruin your merchandise and displays and make you a cranky vendor! Thanks for the advice! I have been doing local markets for pretty much a year now. I feel like I have come so far in that time but there is so much more to learn! I’m wondering what you do for coupons at a market? In the past I have done contests, and they seemed to have a brought me a fair bit of following, at least with social media. My own personal tip! I always bring a jar of candies. It really helps with themes (easter, christmas, valentines…) and I find it helps me break the ice when talking to potential customers. Or the other vendors! Usually they are eyeing my candies, especially after a long day. Candy is great for making friends.